Personalities, not ideologies, are at the heart of the contest between incumbent David Ige and Congresswoman Colleen Hanabusa. In a crowded Capitol conference room in early 2015, Gov. David Ige implored state senators to confirm his choice of Carleton Ching, a lobbyist for a big development company, to head the state Department of Land and Natural Resources. The votes weren’t there, even among some of his longtime allies. Amid an outpouring of opposition from environmentalists, lawmakers dealt Ige his first major blow as governor —three months after he took office. After withdrawing the nomination, Ige regrouped and rebounded. The Senate swiftly confirmed his replacement pick of Suzanne Case, former head of The Nature Conservancy, who has led the department ever since. Gov. David Ige describes his leadership style as collaborative and focused on finding solutions — a process that’s not always pretty. It’s how Ige has continued to steer the state, by taking a step-back approach to problems and realigning his course as needed. An engineer by trade, he favors fiddling until he finds the finds the right fix, which can make him appear indecisive, political observers said. 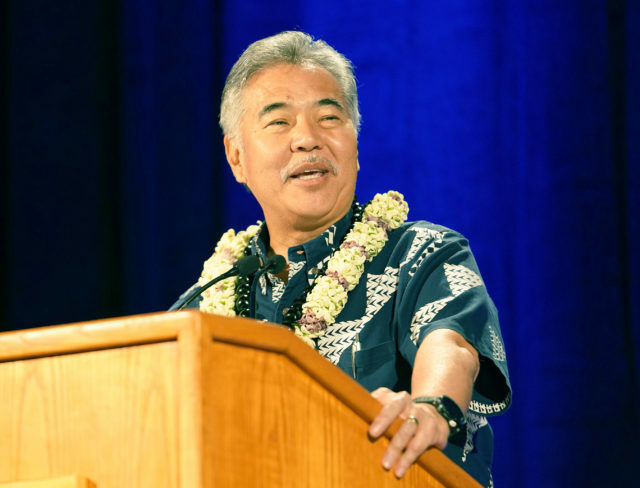 “I’m a collaborative leader, committed to engaging the public, being open and honest, being innovative and getting the work done,” Ige said in a recent interview. 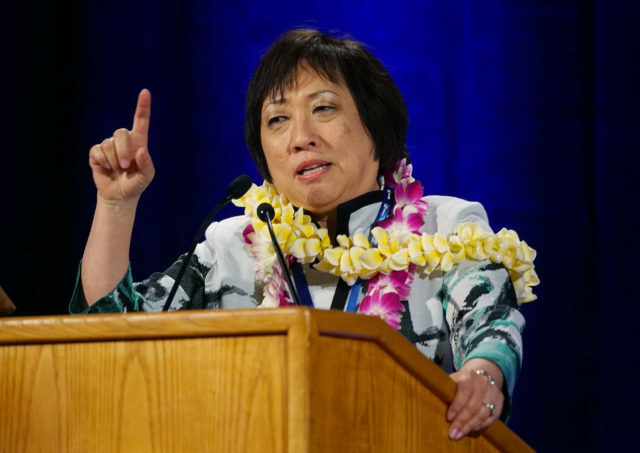 His deliberative style of leadership contrasts with his opponent in the Aug. 11 Democratic primary, Congresswoman Colleen Hanabusa. The former labor attorney comfortably commands a room, argues her points and stands behind decisions even if they grow unpopular. Where Ige is meticulous and thoughtful, Hanabusa is strong-willed and decisive. Hanabusa has been long criticized for pushing through an unprecedented $75 million tax credit that benefitted a single developer, Jeff Stone, 15 years ago when she was in the state Senate. He wanted the tax break to build a “world-class” aquarium at the luxury Ko Olina resort in her district. Democratic Gov. Ben Cayetano, who has endorsed Hanabusa for governor, vetoed the bill in 2002, prompting her to sue him unsuccessfully before trying again the following year. She reintroduced the measure in 2003 and Republican Gov. Linda Lingle signed it into law. In Cayetano’s veto message, he said the “super” tax credit would not benefit the tourism industry as a whole. Congresswoman Colleen Hanabusa said a reputation for strong leadership is earned, not self-proclaimed. Cayetano told Civil Beat his “tangle” with Hanabusa led to an enduring respect for her. “I’ve had my differences with her and during my differences I noticed she had a loyal group of senators who followed her and had great confidence in her,” he said. While he disagreed with the Ko Olina proposal, Cayetano said it evidently worked out well. “Sometimes people do those kind of things to send a message to their constituents about their vision of the area,” he said. In a televised debate earlier this month, Hanabusa said she would do the same thing again. While the aquarium was never built and only about $3 million of the tax credit was used, she said the legislation helped spur the development of Ko Olina and Disney’s Aulani resort, which have provided jobs for westside Oahu residents. Former Gov. 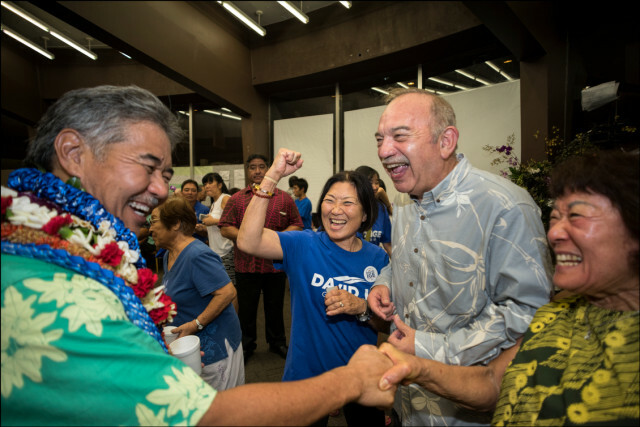 Ben Cayetano backed David Ige in 2014, mostly because he opposed Gov. Neil Abercrombie, but has thrown his support behind Colleen Hanabusa this election. “That is what leadership is all about,” she said. Ige saw it as special-interest legislation. And he reminded the debate’s viewers how Stone, who gave $6,000 to Hanabusa’s campaign in September, helped enrich her then-fiancé John Souza by selling him a Ko Olina townhouse a month after the tax-credit bill became law and financing the bulk of the transaction. Souza sold the townhouse less than two years later for a $400,000 profit. Souza married Hanabusa in 2008 and now chairs her campaign for governor. Ige called it a “sweetheart land deal,” echoing the criticism Hanabusa heard during prior election campaigns. Hanabusa has made leadership her campaign theme. While she has not shared many specifics about what she would do as governor, she has made it abundantly clear that she does not believe Ige displayed the leadership Hawaii needed when confronted with the false missile alert in January. 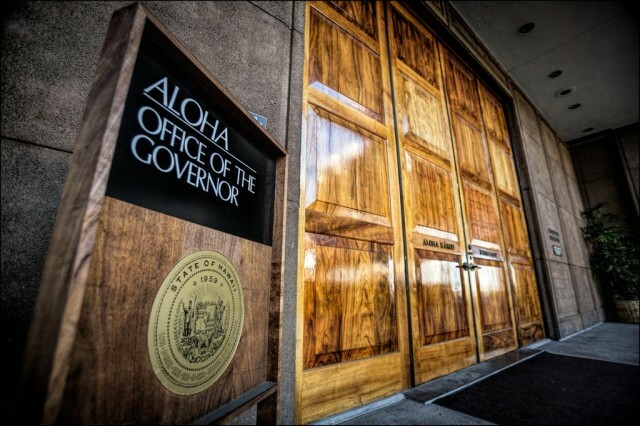 Join the conversation in person at Civil Beat’s event series on the gubernatorial race, “Know Your Candidates,” at Hawaii Pacific University. * Hanabusa initially declined to participate, but recently agreed to be included. Ray L’Heureux kicked off the series Thursday night. For months, Hanabusa hammered Ige for his handling of the incident, but the strategy may have fizzled. Hanabusa had a double-digit lead in March polling by the Honolulu Star-Advertiser, but Ige held a four-percentage-point lead in the newspaper’s poll last week. Civil Beat’s May poll had Hanabusa up 6 points. Neal Milner, political science professor emeritus at the University of Hawaii, said the missile-alert fiasco isn’t as defining an issue as Hanabusa wants it to be. The false alert sent thousands of residents and visitors into a panic when they received a warning message on their mobile phones about an incoming ballistic missile on a Saturday morning. The Hawaii Emergency Management Agency struggled to retract the message for 38 agonizing minutes. Ige accepted responsibility for not handling the situation better, including not knowing his Twitter password to push out a message on social media faster. His ensuing press conferences were awkward at best, but they eventually led to a resolution. Ige launched an investigation into the series of events that led to a state EMA employee sending out the false alert during a training drill. He fired the worker responsible, accepted the resignation of the agency’s director and installed new leadership. Ige has pointed at his handling of two subsequent natural disasters — intense flooding on Kauai and Oahu and the ongoing volcanic eruption on Hawaii island — as a rebuttal. He has worked with local officials on a joint response, signed emergency declarations, secured federal assistance and been on the ground to assess the damage. Hanabusa, 67, has attained leadership roles throughout her life. The scrappy kid from Waianae became student body president at the private St. Andrew’s Priory School in Honolulu and would go on to become the first woman to serve as Hawaii Senate president in 2006. She won two terms in Congress, representing urban Oahu from 2010 to 2014 before losing a close U.S. Senate race against Brian Schatz. Mayor Kirk Caldwell, who has endorsed Ige, appointed Hanabusa to serve on the Honolulu Authority for Rapid Transportation board of directors. She became its chair in April 2016 but stepped down a few months later to run successfully for Congress again after the death of Rep. Mark Takai. 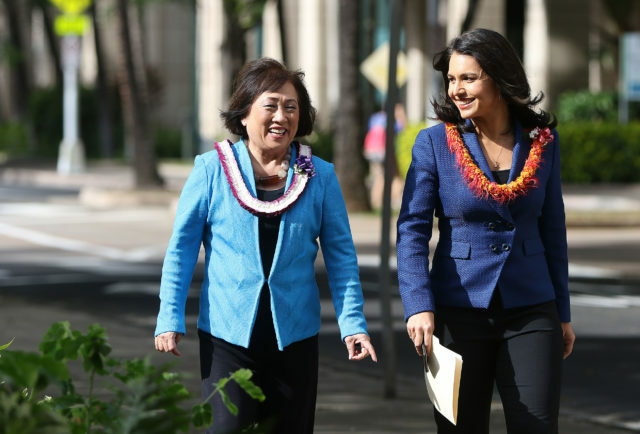 Congresswoman Tulsi Gabbard, right, endorsed Hanabusa for governor. HART oversees the 20-mile, 21-station elevated rail project from Kapolei to Ala Moana Center. 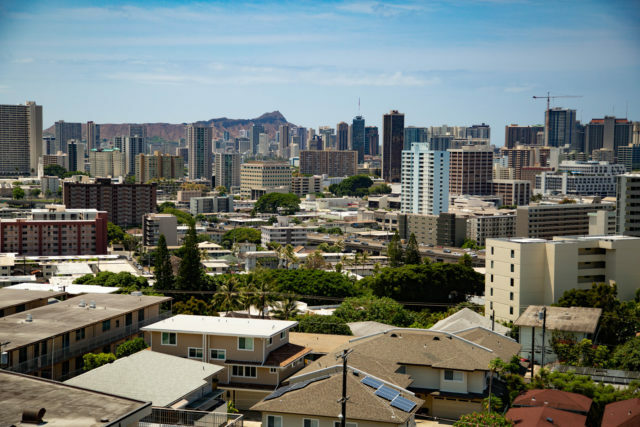 The project’s costs have ballooned by billions of dollars, a problem that plagued the board before Hanabusa’s brief tenure and that continues today. Milner said Hanabusa showed promise while on the HART board, but departed too soon to have much impact. Hanabusa has had little to show for her time in Congress in the way of passing legislation — but that could be said of most Democrats since they’ve been in the minority. She helped secure funding for the Ala Wai Canal’s restoration and for military activities in the islands. If elected governor, Hanabusa said one of her top priorities would be to lead Hawaii into an “extremely active role” in the U.S. Indo-Pacific Command’s Area of Responsibility, which covers about half the planet. “That’s one of the things that we have not paid attention to,” she said, adding that she sees job opportunities there and would ensure the military and other governments look upon Hawaii as a leader. In a joint press release last month with U.S. Rep. Tulsi Gabbard, who has endorsed her, Hanabusa said she supports the $4.3 billion in funding for two Virginia Class submarines she wants at Pearl Harbor as well as $62 million for a Homeland Defense Radar system that were included in the Department of Defense appropriations bill. Former Hawaii Gov. John Waihee, second to right, said he sees Ige’s and Hanabusa’s leadership styles as reflective of their professions, an engineer and a lawyer. Former Gov. John Waihee, who has endorsed Ige, said he wished Hanabusa would have chosen to stay in Congress. He said her skills are well suited for that job and if the House flips back to Democratic control, she could have really shined. But when it comes to being governor, Waihee said Ige is the one for the job. He broke down their leadership style differences by pointing at their backgrounds. Both candidates have used their leadership styles to do good work for Hawaii, Waihee said, but Hanabusa’s is better suited for the lawmaking forum and his is better suited for an administrative position. 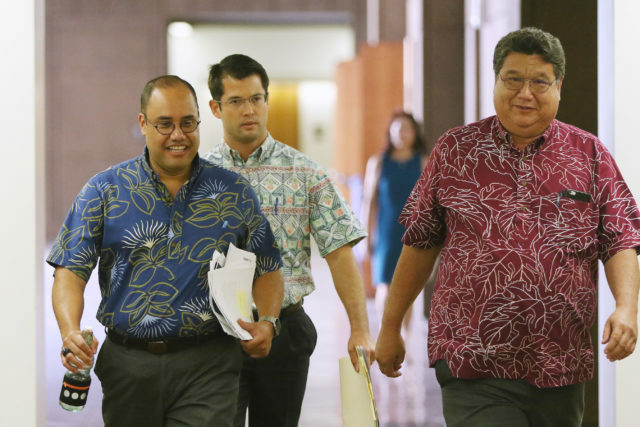 “It’s an engineer versus a lawyer,” Waihee said. He went on to become a senior class officer at Pearl City High School and was named one of the University of Hawaii’s Top 10 MBA students in 1986. 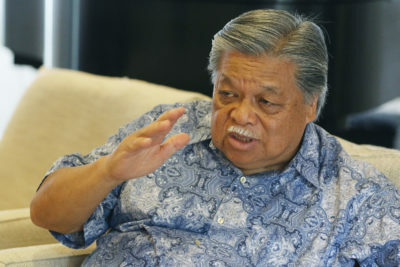 Ige balanced his electrical engineering and political careers for more than three decades. As a state senator, he chaired the Ways and Means Committee that shapes the overall state budget. The race for governor is tightening as the Aug. 11 primary nears, polls have shown. He won the governorship in 2014 as a huge underdog. Abercrombie outspent him 10-to-1 and had the advantage of incumbency. After a rocky start with conservation-minded constituents — the Ching appointment was just one example; delayed appointments to environmental posts were also a problem early on — Ige made moves to right his ship. Groups such as the Sierra Club came around to endorse him for a second four-year term, welcoming the sustainability goals he set in 2016 and his opposition to liquefied natural gas and the sale of Hawaiian Electric to Florida-based NextEra Energy. He staked out a strong position against fracked LNG, which Hanabusa is open to using as a bridge fuel en route to the state’s mandate of 100 percent renewable energy by 2045. Now Ige is talking about Hawaii’s susceptibility to sea-level rise and the consequences of a warming ocean. Ige lists his environmental achievements on his campaign website, including signing the 100 percent renewable electricity mandate into law, setting goals to effectively manage 30 percent of nearshore waters by 2030 and protecting nearly 40,000 acres of watersheds. Hanabusa has upset environmentalists with some of her positions, especially her opposition to President Barack Obama’s quadrupling the size of Papahanaumokuakea Marine National Monument in the Northwestern Hawaiian Islands. 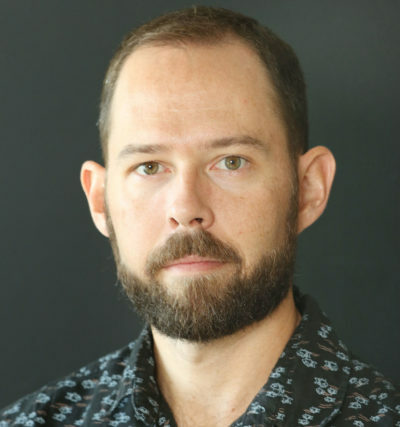 Chip Fletcher, a geology and geophysics professor at the University of Hawaii, said he has been pleased with Ige’s “bold movement forward” on climate change. Fletcher said he also appreciated Hanabusa’s “first steps in that direction,” including her setting up an online Facebook forum for scientists, including himself, to provide their “unfettered and unfiltered positions” on the dire nature of climate change. “She was a good listener,” he said. “Voters, they’re not interested in what you say is leadership, it’s what you do,” he said, adding that Ige has had more opportunities to demonstrate his leadership than Hanabusa has in recent years in large part due to their jobs. Milner said he’s been disappointed with Ige’s leadership since he came in as a candidate who said he understood how the state works and would change it. Senate President Ron Kouchi, right, and Sen. Donovan Dela Cruz, left, signed a letter in support of Hanabusa’s bid for governor during the legislative session along with House Speaker Scott Saiki and Rep. Sylvia Luke. “That said, I think that over the last few months Ige, who frankly finds it hard to talk about anything, has been able to demonstrate a certain amount of leadership because he was thrown into natural disasters and seems to have done alright,” Milner said. Hanabusa has made an issue out of who deserves credit for what as part of her campaign in recent weeks, asserting that Ige has wrongfully touted the millions of dollars in funding that the Legislature approved last session for flood damage and housing. She said she has received calls from lawmakers saying he should not take credit for things he did not do. Senate Ways and Means Chairman Donovan Dela Cruz, one of four legislative leaders to publicly back Hanabusa’s campaign, said Ige did not initiate the $200 million plan lawmakers unveiled in April to boost affordable rentals or the $100 million in emergency relief to Kauai for the flood. Ige signed both funding bills and announced how his administration would quickly implement them. But Dela Cruz said that is not proactive leadership. Housing has been a major issue in the governor’s race, with debate over who deserves credit for what. Ige said he has led in other areas by convening a quarterly meeting with developers and housing experts, something he said past governors did not do, to work on building more affordable homes over the past four years. He said the group identified barriers and he implemented solutions, such as taking applications year-round for affordable housing projects instead of annually. He said 5,300 new housing units have been built, of which 2,000 are affordable. About 1,400 are under construction and 4,000 more are in the planning phase. Dela Cruz complained that Ige was absent from the negotiations last year over how to ensure the rail project’s funding continued despite being billions of dollars over budget. He said it was Hanabusa who kept the House and Senate negotiators at the table to hammer out a deal. Ige acknowledged the criticism he took for not being out front pushing a solution. “I didn’t see any value to the drama of me advocating and being very vocal about it,” he said.